Off-road muscle cars aren’t all that common, but this week we have one in Fortune Valley in the shape of this ‘67 Mercury Cougar. Built to take on the rough and tumble of the desert this car has been jacked up and ironically equipped with some Fifteen 52 Tarmac rims wrapped in chunky off-road tires. 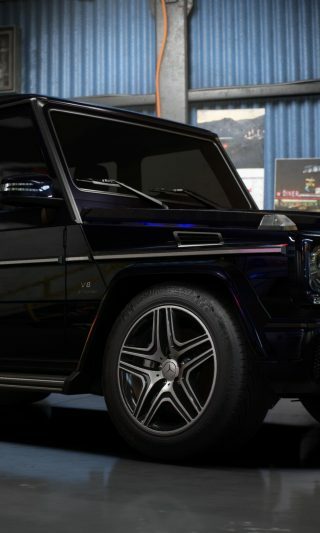 The wider stance has been covered with some unique wide fenders which compliment the aggressive front splitter, grille and rear spoiler perfectly. A vivid blue wrap makes it stand out from the dry desert floor!